with photographs by the author from his personal collection. 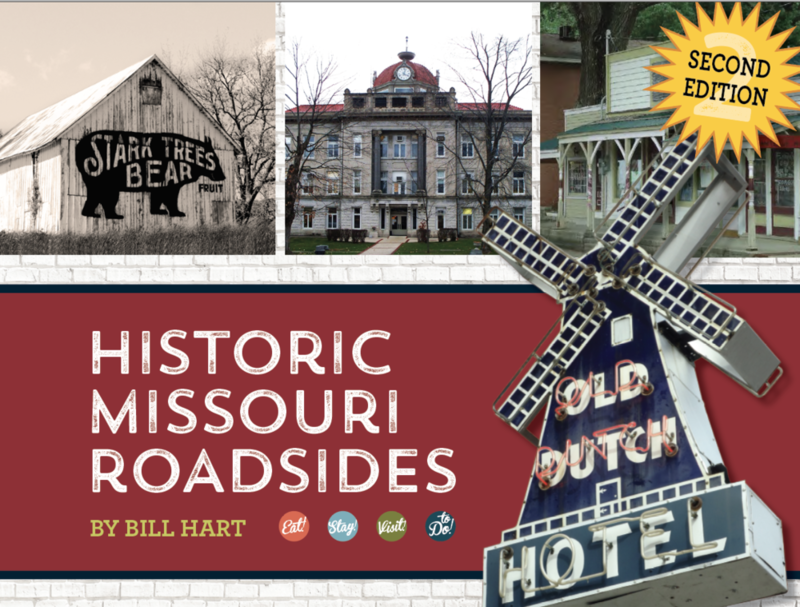 The second edition of Historic Missouri Roadsides includes six new “destinations,” where you might consider spending a long weekend or even an entire week. These destinations include the Boonslick Area, Fulton and Glasgow in Central Missouri, the Arcadia Valley in Southeast Missouri, Sedalia in West Central Missouri, and St. Joseph in Northwest Missouri. and preservation of Missouri’s historic farmsteads.